The real fault line in the Lib Dems Well, people say to me with conviction: the Liberal Democrats are hopelessly split – between libertarian free marketeers and socialists. I protest in vain that I've never met either in the party, and I've been a member since 1979. I tell them, that rather against everyone's expectations, the party has been staggeringly united through the trauma of coalition. But it is too late to complain. The Great Division is now part of political mythology. It is said that a group of 'economic liberals’ – not a term I recognise – gathered around The Orange Book to wrest the party away from the wispy idealists. It is all so terribly reminiscent of the early 1980s, when a group of worldly and sophisticated social democrats were supposed to have stolen the centre ground of politics from the wispy-bearded idealists in the Liberal Party. Terry Waghorn, Interviewer I cover the intersection of innovation and sustainability. 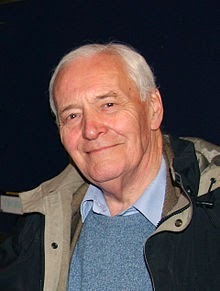 Tony Benn one of the great UK politicians from the left died yesterday and UK politics will be the weaker for it. Both his grandfathers, John Benn (who founded a publishing company) and Daniel Holmes, were also Liberal MPs (respectively, for Tower Hamlets, Devonport and Glasgow Govan). As someone who grew up in the 1970s with Labour in power and Tony a Minister he was a constant backdrop to my youth. I was inspired at the time by the Liberal Party not Labour who had failed to implement left of center policies – it was the Liberals who had taken much of the space on the left that interested me hence joining the Young Liberals. Tony saw similar problems but his answers were very much more about extending the power of the state over big parts of industry and people’s lives. I saw government as the big enabler the extension of peoples control over the decisions that impact on their lives but there were many times I agreed with Tony. The second Nexus Conference on Water-Energy-Food and Climate has finished and the Declaration should be finalized by next Wednesday and submitted to the Co-Chairs of the SDG OWG and the President of the UN General Assembly. Highlights of each day can be read at Campus blueprints web site. A great job done by Grace and the team from Campus Blueprint. Videos of the plenary sessions are now up on the Conference web site. Power points to go up very soon. 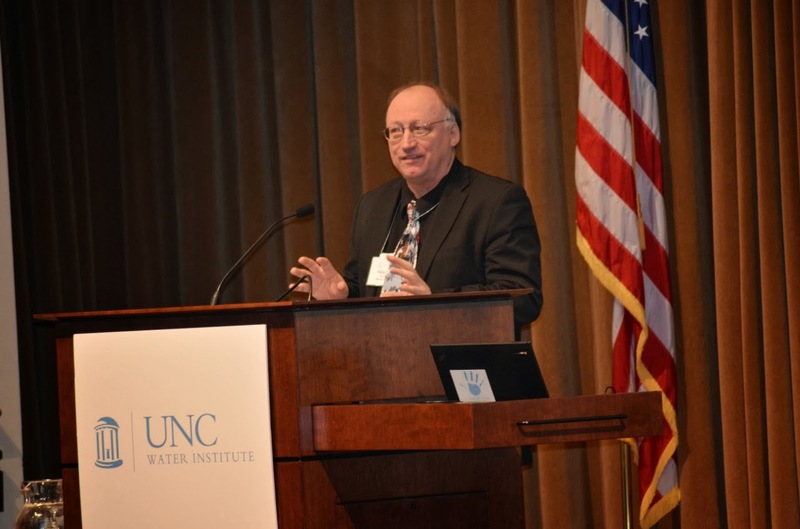 The third Nexus Conference dates have been announced as 15,16,17th of March 2015 in Chapel Hill again at the excellent Friday Conference Center. My name is Gayatri Surendranathan and I am Campus BluePrint's online managing editor. This morning, I attended the Nexus plenary on Food, Water and Climate; you can read a detailed wrap-up of the key points here. Panelists focused on the food and water needs of society today and 50 years down the line, and all of them emphasized cooperation -- cooperation between the public and private sector, the rural and urban communities, and different science disciplines. Tomorrow's the last day of Nexus, but today's the last day of Campus BluePrint coverage of the event. We loved listening to the top environmental minds of the day present their opinions about pressing sustainability issues, and we hope you did too. Have a great weekend, y'all! It's Grace Tatter from Campus BluePrint. Today, conference attendees learned how businesses and entrepreneurs can contribute, and will be impacted, by the Nexus. Cole Wilhelmi writes about today's opening remarks by Paula Gomez, the Director of the Directorate for Economic, Social and Environmental Affairs for the government of Colombia. Gomez described Colombia's innovative approaches for encouraging the collaborative interventions the Nexus Conference is based upon. She calls the approaches the "dashboard" approach and the "integrative" approach, and said they've been remarkably successful, although budgetary constraints have limited the government's capacity for change. Read more here. If you haven’t yet registered for the Nexus Conference-Water-Energy-Food-Climate, it begins on Wednesday so do register online at nexusconference.web.unc.edu . The conference is dovetailed into the end of the March session of the Sustainable Development Goals Open Working Group. This is your chance to leave the snow and cold of New York for the sun and warmth of Chapel Hill, North Carolina.